"Looking back, it seems that I have lived seven lives: the first was my sheltered childhood in Switzerland. Then it was time to break out of the confines of a small town into the world, to Sumatra, where I got to encounter the most important person of this life and to taste with him the joys and sorrows of a planter couple. In 1940, our world came tumbling down, and my third life in captivity in Indonesia began. My fourth life was spent in Japan and Shanghai, followed by my coming home and long-awaited reunion, a modest new beginning on ruins; my fifth life in Hamburg. Number six was our common agedness, a quiet, peaceful time of contemplation, which ended so abruptly with our moving into the retirement home and the farewell of my beloved Gustel. My last and seventh life as a widow is a life of retrospection and sorting. Perhaps the reason why I’m writing down the story of my life." In the mid-twenties, the young Swiss woman Claire Hake travels alone to Sumatra and meets her great love Gustav, a German planter, on a secluded tobacco plantation in the middle of the jungle. Claire and Gustav marry. Their life on the plantation is one of destitution, but also joy - until war breaks out in far away Europe. When the Wehrmacht invades Holland in 1940, incredible scenes play out in the Dutch colony. Germans are abused, humiliated, and Claire is also affected. She is separated from Gustav and detained. 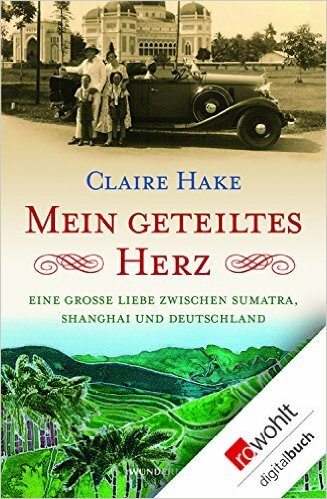 It is not until seven years after captivity in an Indonesian camp and in Shanghai that Claire succeeds in making her way through to Switzerland. Upon receiving the news that her husband had survived the camp, there is no stopping her; Claire sets out to finally embrace Gustav again. After Gustav's death and at the age of 83, Claire begins to put her life and her love story to paper, leaving her granddaughter Nicoline an old suitcase full of manuscripts and photos.